Which do you think is the best team in England in the last decade. Sabastain Agbeze Maduka says it is Chelsea. He draw is conclusion from stats ​talkSPORT revealed, after taking into​ ​account the league table, history books and the number of trophies the team has won.​ Here is it. Arsenal are at number 5 – The Gunners have won two major trophies since 2005 – FA Cup in 2005 & 2014. Liverpool have had a barren spell of trophies since Rafael Benitez left the club, but the Reds have managed to win three trophies (2005 UCL, 2006 FA Cup & 2012 League Cup) in the last decade that takes them to #4 in the list. Manchester City have truly emerged as the power house of England in recent years. While they may not have a glorious trophy laden history like their neighbors, but they are making sure the present is a glorious one. 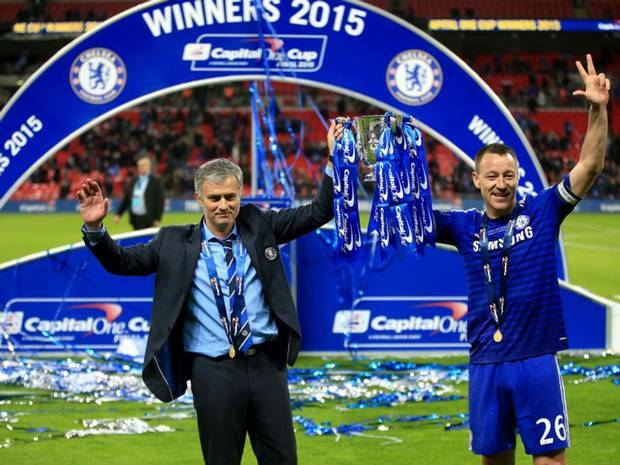 Two Premier League titles, one FA Cup and one League Cup takes them to #3 in the ranking. Manchester United are in second place having won nine major trophies – five Premier League titles, three league cups and one Champions League. It remains to be seen whether Sir Alex Ferguson’s successors can maintain the club’s winning mentality. Then he round it up with "Hats off:- UP BLUES"
You can tell that he his a Chelsea fan.